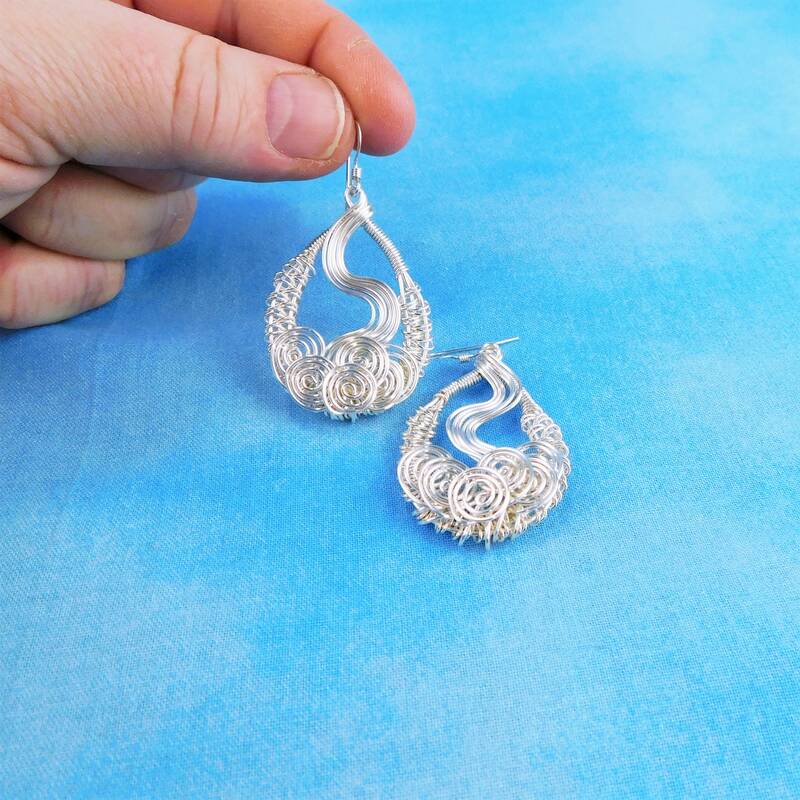 Non tarnish fine silver over copper wire is hand off-loom woven and sculpted into two 1 1/2 inch long by 1 inch wide loop style earrings. 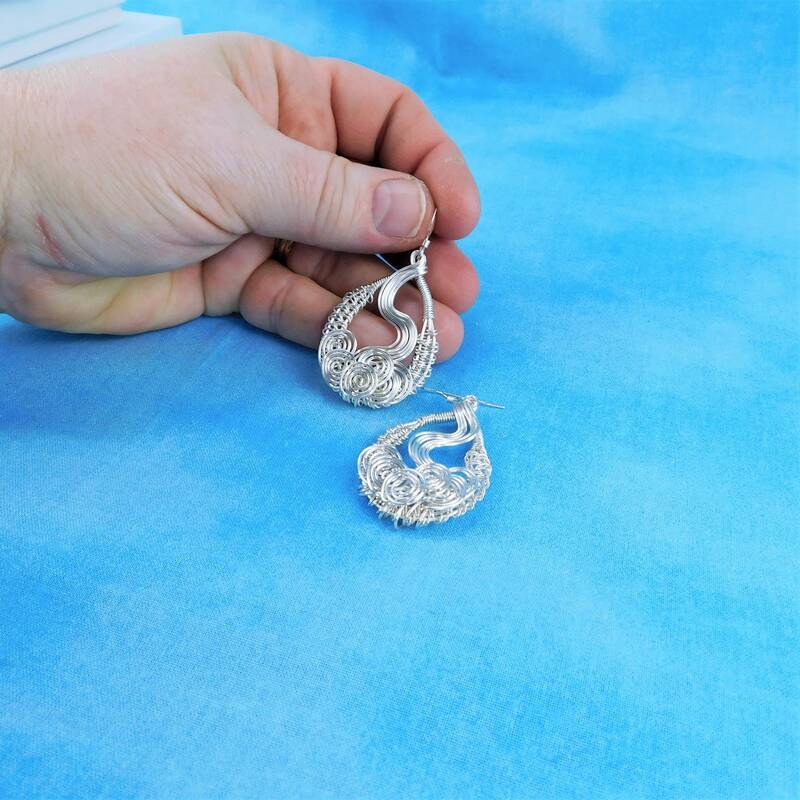 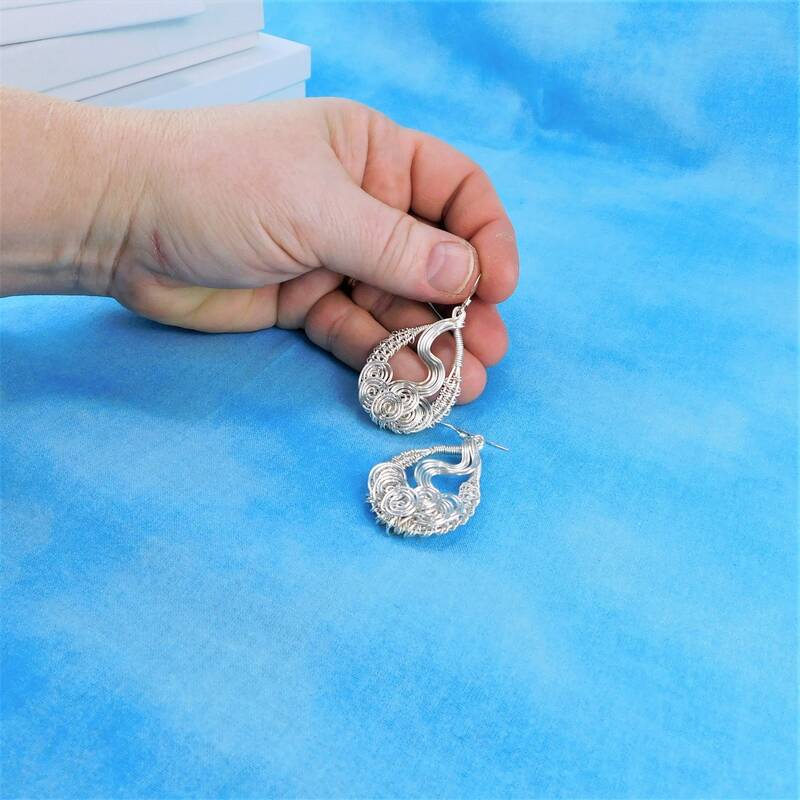 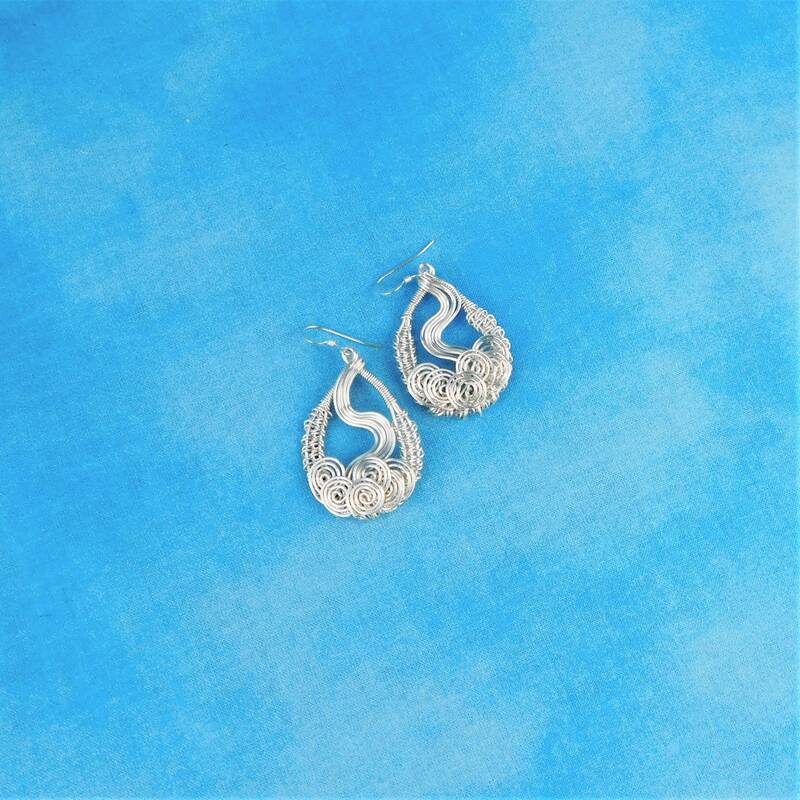 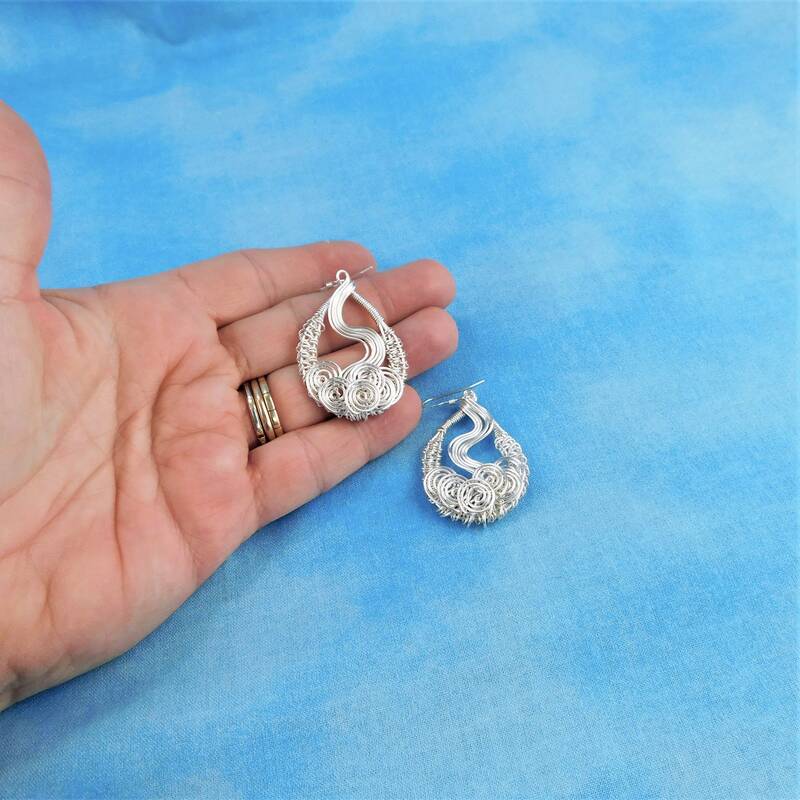 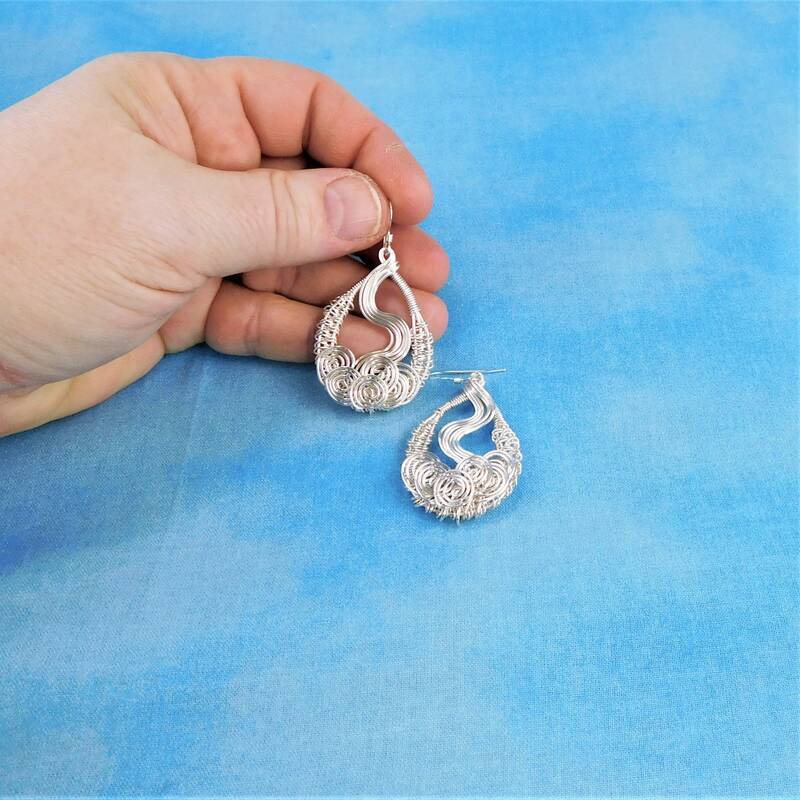 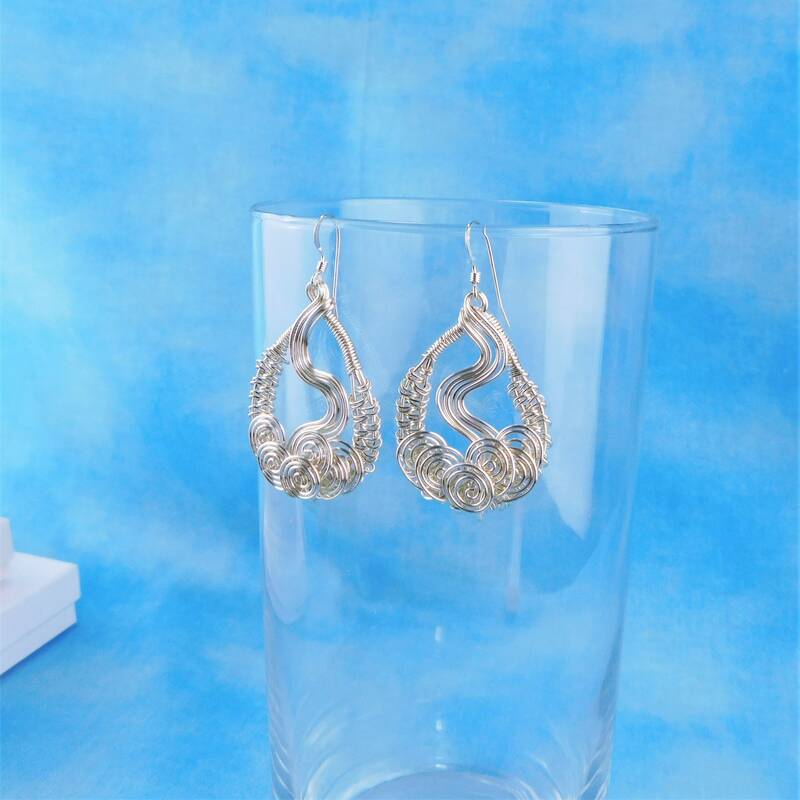 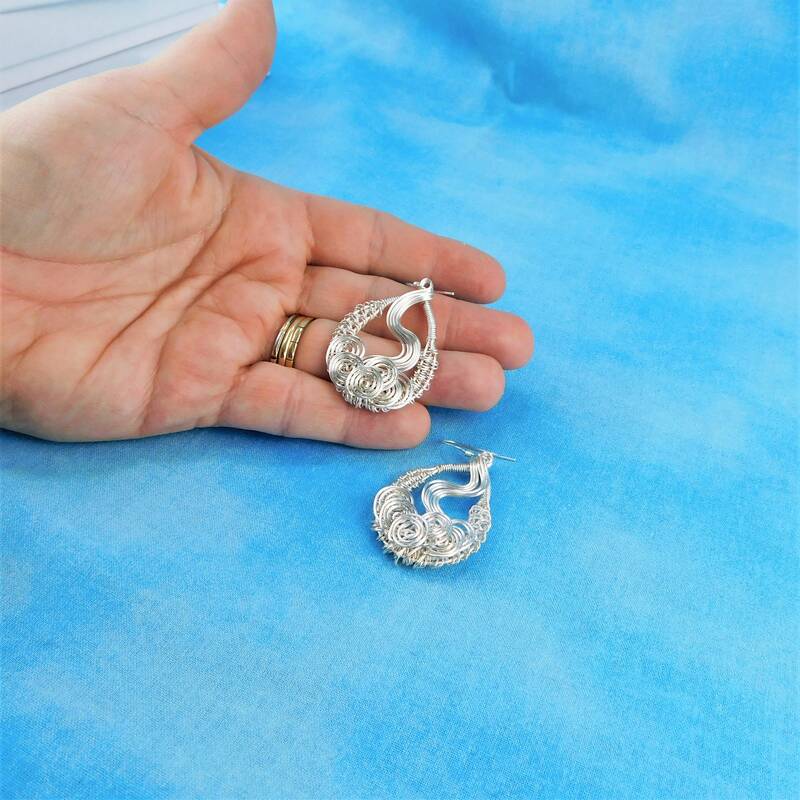 The design of these earrings are sculpted to resemble a waterfall, creating a visual that is interesting, beautiful and fun. 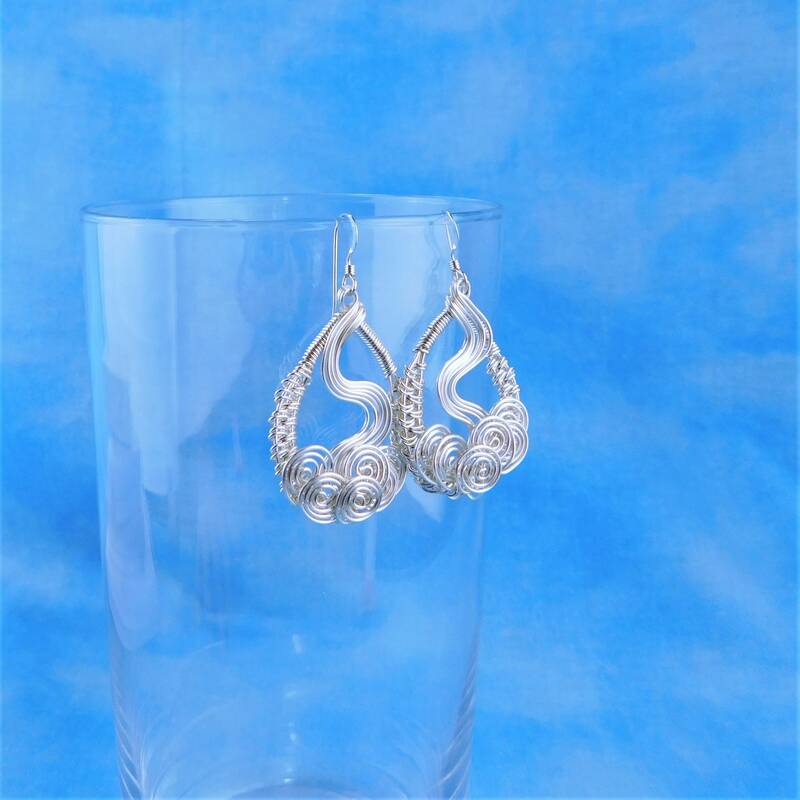 They are feminine and lacy and will compliment many pieces of a woman's wardrobe. 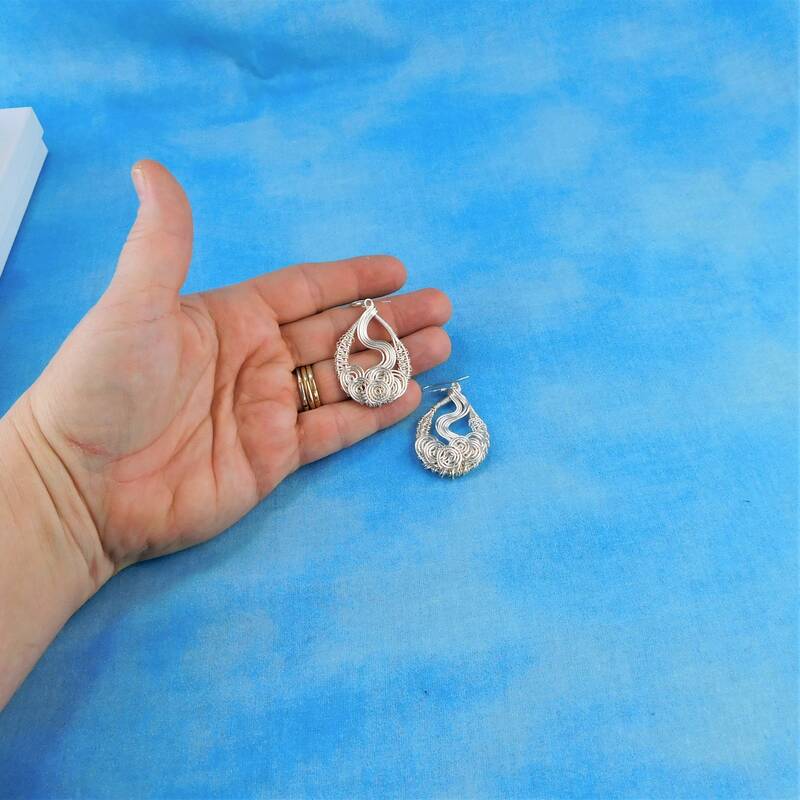 The earrings measure 1 1/2 inch in length by 1 inch wide and the ear wires are sterling silver.They are light weight and comfortable.